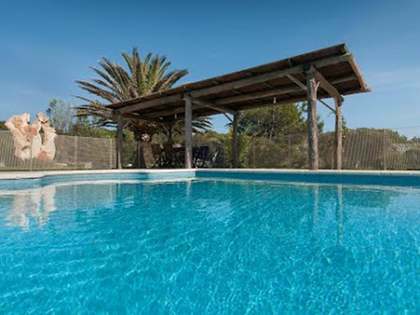 Spectacular rustic property located to the west of the island of Menorca, a few minutes from the centre of Ciutadella, with all its services within reach. 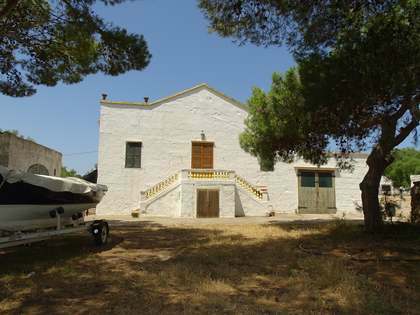 It is set on a plot of more than 5 hectares that includes gardens, land for cultivation, a pool surrounded by columns, landscaped areas and several annex buildings measuring 207 m² including a farmhouse, an oven, garage and a domed chapel. The building was restored conserving the stone walls, the wooden beams and the ancient tiles of Arab origin. The manor house measures a total of 654.5 m² distributed over 3 floors. 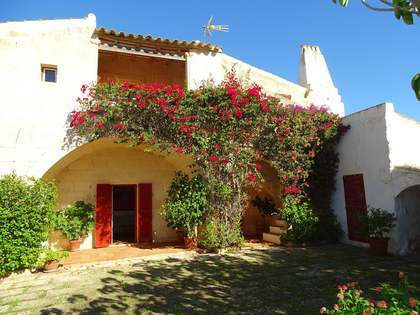 The ground floor offers 2 bedrooms with en-suite bathrooms, 2 further bathrooms, 2 housekeeper bedrooms and the large kitchen with summer dining area under a pleasant 30 m² porch with three arches. The first floor houses 3 bedrooms with en-suite bathrooms, a winter dining room, a lounge and the living room, as well as access to a fantastic 48 m² terrace. The last floor has 4 bedrooms, a bathroom and another living room. An incredible first or second residence for families that want to enjoy tranquility but at the same time be close to all services. Contact us for more information or to arrange a viewing. 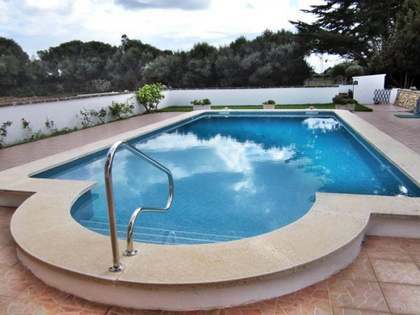 Property located to the west of the island of Menorca, a few minutes from the centre of Ciutadella, with all its services within reach, and near the beach.